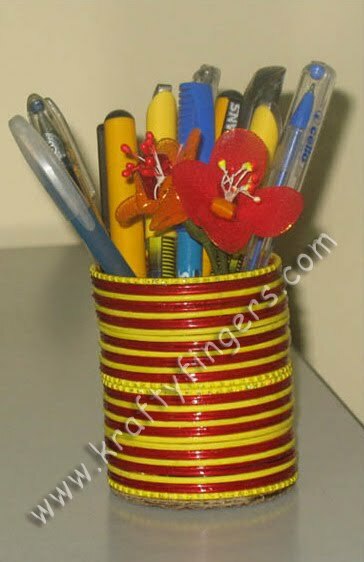 A colorful pen holder, made out of waste bangles. This product is WAS a part of the "Limited Edition Collection" here. Please order immediately if you are interested in this product.